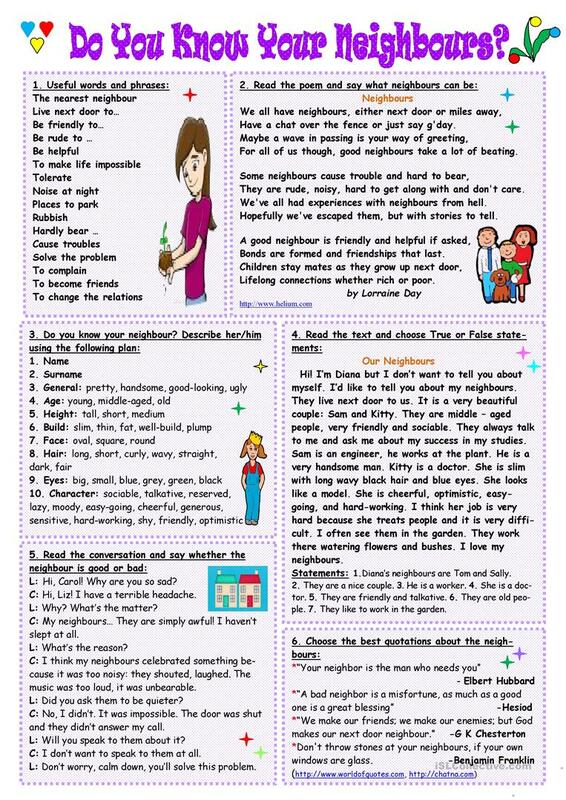 Six exercises on the topic: useful words and phrases, a poem, a story about the neighbours, a dialogue, quotations about neighbours. Thank you!!! This downloadable teaching material was created for high school students, elementary school students and adults at Pre-intermediate (A2), Intermediate (B1), Upper-intermediate (B2) and Advanced (C1) level. It is a valuable material for enhancing your class' Speaking and Reading skills. It is about the topic and words of People.